You can totally take care of those fine lines with the help of these homemade tips. 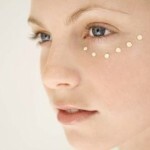 Read on to know how to reduce fine lines on skin. Nothing works better than a proper diet to help you achieve a younger look. Incorporate leafy vegetables, pulses, carbohydrates, minerals and vitamins in your diet. Eat fruits and take natural fruit juices. Incorporate avocado, cantaloupe, almonds, salmon, carrots, oranges, blueberries, and plain yogurt in your diet. Deficiencies of some vitamins can cause the skin to look lackluster and dull. 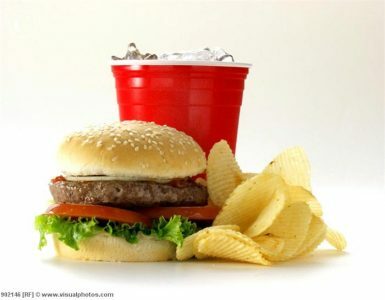 Don’t skip meals and avoid oily and spicy food. 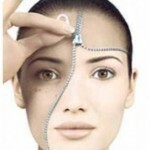 The right balance of nutrients and vitamins will restore the shine and help in reducing the fine lines. Water washes all the toxins from the body and helps in maintaining the functions smoothly. It provides the body with flexibility both from inside and outside. It hydrates the skin cells, improves the clarity of the skin, makes it look smoother, and reduces fine lines.Six to eight glasses of water is considered ideal, however, that largely depends on the weather and the intake of liquid in other forms. 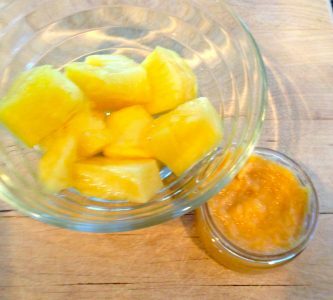 You can make homemade mask to protect your skin from wrinkles and fine lines. You can make a mask of 2-teaspoon carrot juice with half teaspoon of honey. Mix it well and apply it on the face. Leave it for twenty minutes and wash it off with water. Mash one banana and apply it on the fine lines. Leave it for fifteen minutes and then wash it off to find yourself with smooth wrinkle free face. You can also make a mask of glycerin with honey. Add a spoon of honey to one spoon glycerin and then apply it on your face. Leave it for some time and then wash it off with water. You can crush apple also to apply on the fine lines of your face. Even potato juice works wonder on fine lines. Green tea has powerful anti-oxidants, which are helpful in reducing the signs of aging. 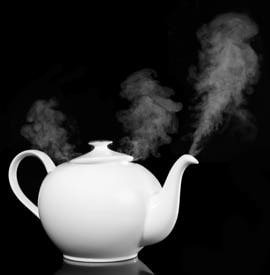 Actually green tea not only helps you rejuvenate from outside but it works wonder from the inside too. A cup of green cuppa helps you reduce fine lines to a great extent. It ensures a healthier skin and makes it supple and smooth thus reducing the fine lines. Sun is bad for your skin. Wear a sunscreen of not lower than 15 SPF and keep your body off pollution. Wear a moisturizer with AHA and wear it twenty minutes before you go out. Instead of applying these sun block and moisturizer just on your face, apply these on your body just after you have taken bath. When the body is little moist, it absorbs more moisturizer by giving it a base to stick on to and remain for longer period. 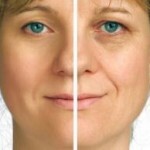 Anti-wrinkle creams contain retinol, which gives a rejuvenating effect to the face. Invest in a reputed brand like Clinique or Olay and apply them religiously everyday or as instructed on the jar. Make exercise a necessary routine. Take out time for workout and incorporate yoga in your lifestyle. It not only keeps you physically active and fit; it also helps in reducing the fine lines and avoiding wrinkles. Do you often wonder why we have aged earlier than our parents or grandparents, the answer may be the current lifestyle that we are leading. We are so busy in hoarding money and collecting promotions that days go by and we don’t even smile forget about laughing. Although you cannot avoid the lifestyle, you can control the way to lead it. Don’t take stress as it is the main ally of wrinkles. If you smoke, it not only reduces your lifespan, it also makes you look older fast. So quit smoking and keep yourself happy.